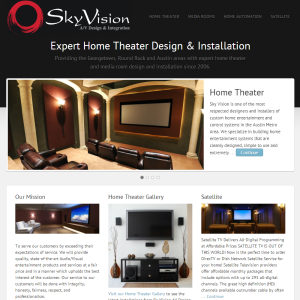 This site was built for SkyVision A/V Design & Integration, a Georgetown home theater installation company. The owner Richard was referred to us by another client. He wanted to not only update the look and feel of his website but wanted to optimize it as well. This site is build on the Genesis framework using the Agency Child Theme. The site is mobile responsive which provides a great user experience on mobile devices such as smartphones and tablets. Since implementing the site and optimization their overall traffic is up over 65% from the previous year and search traffic is up over 70% from the previous year and they are now seeing traffic from their most important keywords. 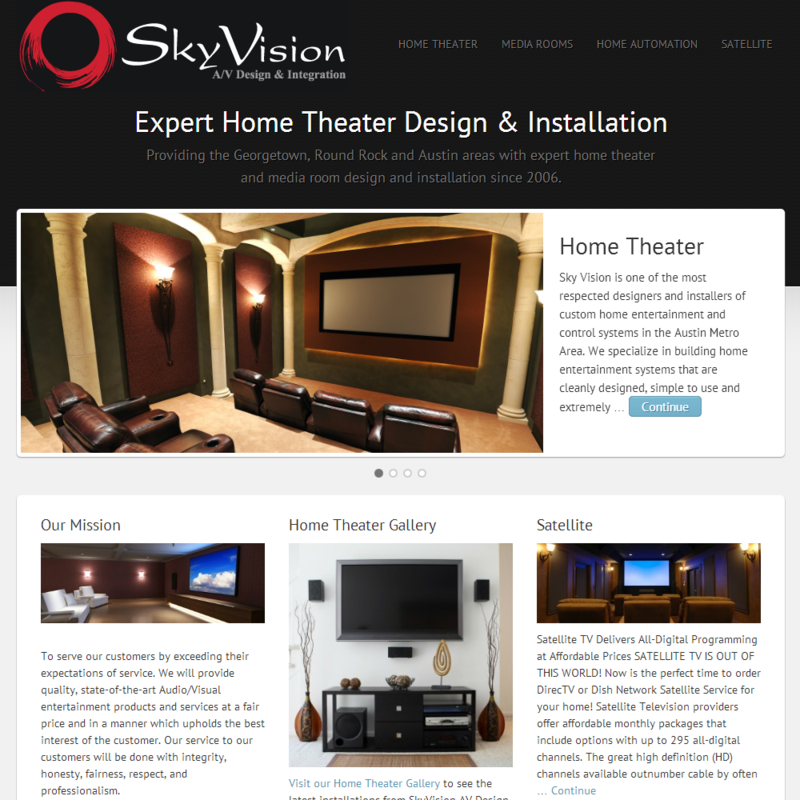 Visit the SkyVision site here.